Freedom is Rooted in the Gospel of Christ. 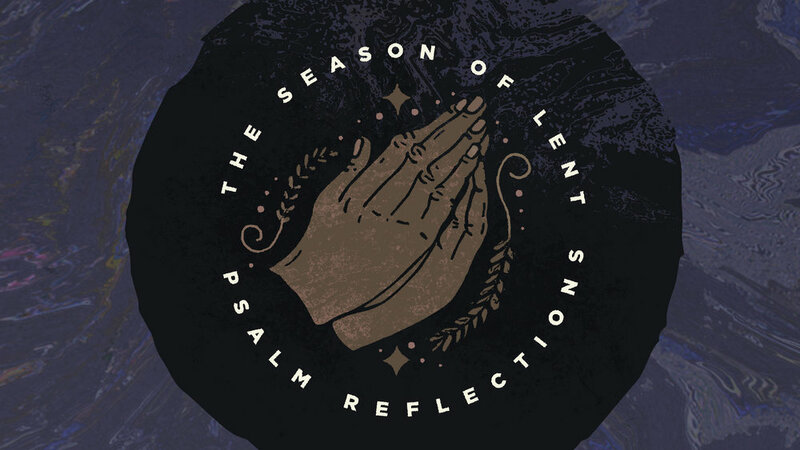 This post is a part of our series of Psalms reflections for Lent. Have you ever stopped to think about how remarkable it is that Jesus prays (Heb. 5:7-8)? God incarnate, the One who breathed out all of Scripture when in the flesh, breathed out His own prayers to God the Father. If we listen to Jesus, we will hear Him breathing out the very prayers He inspired in the Psalms. God speaking God’s Word, not just in proclamation, but in prayer. This is the sort of thing we’ve come to expect from a God who chose to identify with us by putting on flesh and walking through our Baptismal waters. He is found identifying with us in prayer. We also know that the flesh God entered into was Jewish flesh so that the prayers He prayed came from Israel’s prayer book of the Psalms. Dietrich Bonhoeffer, in speaking of the Christocentric nature of the Psalms (that is, how Jesus is the sum and substance of the Psalms), goes so far as to say, “The prayers of David were prayed also by Christ. Or better, Christ himself prayed them through his forerunner.” The Psalms are Jesus’ prayers. How mysterious and wonderful it is, then, to find Psalm 43 as a prayer on the lips of our Lord. For the God who identifies with us in our flesh is here crying to God from a place of need. We know that He groans Psalm 22 as He hangs on the cross: “My God, my God! Why have you forsaken me?” (Ps. 22:1, Matt. 27:46, Mark 15:34), but I don’t think Psalm 43 need be too far behind. After all, after His arrest, our Lord is surrounded by unjust and deceitful men (43:1). The religious leaders have been conspiring against Him and now have them right where they want Him. In His trial, they trumped up all sorts of false and deceitful accusations against Him. To counter them, He spoke not a mumblin’ word (Mark 14:55-65). Brought before Pilate, He was accused and crucified. Pilate’s guilty verdict was entirely unjust and full of political cowardice (Matt. 27:24, John 19:39). And so, the Lord Jesus put on trial before Jew and Gentile alike is found guilty by all the world. And the devil smiles. While surrounded by such enemies, Jesus, having both inspired and learned Psalm 43, would have known to pray “Vindicate me, O God, and defend my cause against ungodly men, from the deceitful and unjust man deliver me.” In these words, the Lord would cry, just as He taught us to pray, “Let your kingdom come! Deliver me from the evil one!” Here, where the devil and the world accuse Jesus and find Him to be worthy of death, Jesus appeals to His Father. Jesus prays. However, God’s response is not immediately found. This only seems to make matters worse. The pain of God’s silence strikes Jesus harsher than any nail ever could. “For you are the God in whom I take refuge; why have you rejected me? Why do I go about mourning because of the oppression of the enemy?” (43:2). And no refuge is to be found. Not yet. Instead, the Earth quakes, the sky goes dark, and Jesus breathes his last. The breath that breathed out all of Scripture, including the Psalms, leaves the body of the Lord. One can only pray in hope. And hope for the faithful is not a mere wishing into the air. Rather, it is to cling tightly to what God has said. Jesus sought refuge from the Father in His death because He had the sure and certain hope that the Father had promised resurrection, salvation, vindication (Luke 24:25-27, 46)! Jesus could pray, “Send out your light and your truth; let them lead me; let them bring me to your holy hill and to your dwelling! Then I will go to the altar of God, to God my exceeding joy” (43:3-4), and “Hope in God; for I shall again praise him, my salvation and my God” (43:5). Hope did not disappoint our crucified Lord. The Father heard the cries of Jesus in His distress and in His trial (Heb. 5:7-8). The Father, who on Good Friday held the accusations of all our sins against Christ and shed His blood for them, declared those sins forgiven for the sake of the blood, and vindicated Christ by raising Him from the dead! Jesus knew the Father would raise Him from the dead and vindicate His life, death, and resurrection on behalf of sinners. In His praying and groaning and dying, He remained obedient to the point of death on the cross, so that God raised Him from the grave and gave Him the name above every name (Phil. 2:5-11). Peter himself preaches, “Let all the house of Israel know for certain that God has made Him both Lord and Christ, this Jesus whom you crucified” (Acts 2:36). All those who stood in accusation against the Christ were put to shame. For the Father raised Jesus up and made Him Lord! God brought Jesus to His holy hill and made Him Lord of heaven and earth! This all has been done for you. Hear this, dear reader, God has vindicated Jesus who you and I crucified in our sins. This is our shame. Now, God has made Jesus Lord over us. But do not let your heart be downcast for this, but hope in God (43:5). For although you and I crucified Christ in our sins, He bled so they would be forgiven. Repent and believe this good news: Jesus Christ forgives you. You who have been Baptized into Christ now reside in the Vindicated One, the Righteous One. The Lord has chosen to justify and vindicate you through His blood. Understand, however, that this means you will be surrounded by the same enemies as Jesus. The devil, the world, and your flesh will mock and accuse you, perhaps even to the point of death. Fear not! Hope in God! The Lord has brought you into this prayer and placed it on your lips. He has sent His light and truth to you. Against the devil, the world, and your flesh, Jesus has justified you and vindicated you for His own sake. His death is yours, His righteousness is yours, and these foes cannot take it away. When you undergo these attacks, when you are with Jesus crying, “Why have you rejected me?” go to the altar of God and there you will find Him, your exceeding joy, in bread and wine with His very body and blood to vindicate you again. How mysterious and wonderful to know that Jesus has breathed out this Psalm for us and with us. How mysterious and wonderful to know that our Vindicated One continues to intercede for us before His Father (Heb. 7:25). His Father hears the prayers of His Son for you. You who have been justified by His blood will again praise Him, your God, your salvation, and your exceeding joy! Rev. Bob Hiller is the senior pastor of Community Lutheran Church in Escondido, CA. Bob is a regular contributor to The Jagged Wordwhere he writes on sports, theology, or whatever might be bothering him at the time. in the Gospel of Christ.